James Coplan, M.D., Neurodevelopmental Pediatrician, Author and Speaker » Blog Archive » Consultation and advocacy to secure services for children with ASD – Sometimes the Magic Works. Consultation and advocacy to secure services for children with ASD – Sometimes the Magic Works. Impossible, but true: The film “Little Big Man,” starring Dustin Hoffman, was released in 1970. Most of you were not even born in 1970. OMG. Unless you’re a movie buff, you’ve probably never seen (or even heard of) it. The Graduate (1967) and Midnight Cowboy (1969) already had turned Hoffman into a rising young superstar. Later roles (Tootsie -1982; Rainman – 1988) would cement his role as one the greatest American actors of the 20th century. 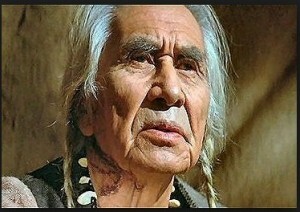 “Little Big Man” is the name Hoffman’s character receives from his Native American mentor, Old Lodge Skins. Old Lodge Skins is full of wisdom, leavened by humility and a sense of the absurd tragedy which is the human condition. “Today is a good day to die,” Old Lodge Skins was prone to say, before an impending battle. Not that dying itself was the goal, but that if one’s affairs are in order and one acts with honor, then dying is not to be feared. I won’t spoil the story for you; just see the film. You won’t be disappointed. Another of Old Lodge Skin’s expressions, and the one I’ve appropriated for this post, is: “Sometimes the magic works, and sometimes it doesn’t.” That’s a good principle to live by, especially if one is a care provider. Not that care provision is “magic,” but sometimes we get the result we’re aiming for – and sometimes not. We never quite get over self-doubt and self-blame for the failures. On the other hand, every once in a while we hit one out of the park. Although I’ve retired from clinical practice, I still keep my hand in by doing consulting work – to families, school districts, and attorneys, whenever a child or adult with Autism Spectrum Disorder is involved. For example, in Family Court around issues like custody and visitation (e.g., the importance of maintaining consistent expectations across both households, or weighing the relevance of parental mental illness as a variable), ASD as a contributing and/or mitigating factor in a criminal proceeding, or – as in the present instance – determining eligibility for services under IDEA. In this particular case, the School District and County service providers had declared that all of the child’s deficits were due to his ASD, and therefore he was ineligible for ID services. The parents were preparing to go to Due Process, and wanted to retain me as an expert to attest to their son’s ID (in addition to his ASD). I was willing to do that, but I suggested that they have me lay out their child’s case in a report first. What did they have to lose? If the school district agreed to revise its position based upon my report, the parents would avoid a lot of hassle, as well as the legal fees necessary to bring their attorney to a Due Process hearing. I’m a firm believer in parents’ Due Process rights, but an equally firm believer in not becoming unnecessarily adversarial (As the Colonial commander declared at the battle of Concord: “Don’t fire unless fired upon, but if they mean to have war, let it begin here.”) The parents accepted my recommendation. After reviewing their child’s psychoeducational testing, including his WISC, academic achievement scores, adaptive functioning, and measures of atypicality, it was pretty straightforward for me to make the case that ASD alone could not account for the totality of his developmental picture. I told the parents I could make no guarantee, but that I felt there was a reasonable chance that my report would carry enough weight to do the job. Hello Dr. Coplan, I just want to thank you so much for your knowledge and expertise that was contained in the consultation report that you prepared in behalf of [our son]. Late this afternoon, we were notified that the information in your report was successful in reversing the initial rejection for ID services from County ID department. The county has decided that J. is Intellectually Disabled and will now begin intake process for ID services. My wife and I are relieved…. Thanks Again!!! Break out the champagne (notwithstanding the sad irony that these parents were celebrating – and had to fight for – the school district to diagnose their child with Intellectual Disability)! I don’t manage to cure many people in my line of work, but at least I was able to get one young man the services to which he was entitled. This time the magic worked. And it felt good. Stand firm, but don’t be unnecessarily adversarial.